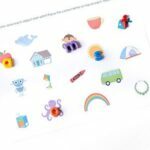 These printable alphabet letters are so versatile! I like to use them for a variety of alphabet activities. They are perfect teaching the alphabet to young kids! 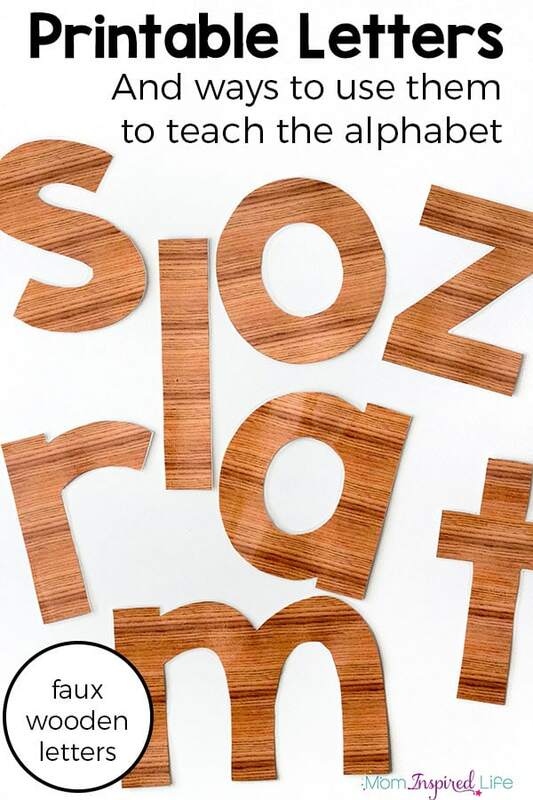 I have been wanting a set of large wooden letters that my kids can use to learn the alphabet. 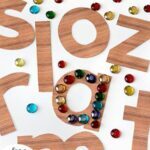 They are great for incorporating into loose parts play and a variety of literacy activities. However, they are really expensive – for me anyway. So I decided to make some faux wood printable alphabet letters that we can use in a similar way. They don’t have the feel of wood, but they work well for us. As I was making the letters it occurred to me that I should make some in blue and red as well. This is because we are using All About Reading for kindergarten reading instruction this year and they use blue for consonants and red for vowels. This way we can use them for all of the related word work. 1. Kids really enjoy tracing them or decorating them with loose parts. Things like buttons, beads, acrylic table scatter, gems, and pom poms are all perfect for this. LEGO bricks are fun too! My kids also like to sort letter beads onto them. 2. 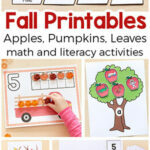 If laminated, kids can trace or decorate them with wet-erase markers. 3. Teach kids how to spell their name with them. Or trace, color or decorate their name. 4. They can be used to spell words. Right now we are using them to spell sight words, CVC words and other words that show up in my son’s reading curriculum. 5. They would be perfect for simple letter recognition games. I plan to use them in this way with my three-year old daughter. 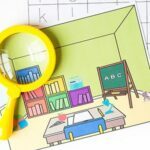 Things like alphabet hunts, matching games and other hands-on alphabet activities. 6. You can also use them to teach letter sounds. 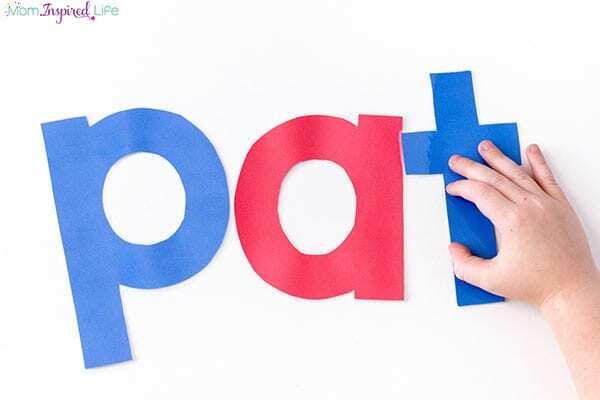 Tape them to a wall, call out a letter sound and have kids throw a ping pong ball at the letter the corresponds to the sound. Match objects to the letter that represents its beginning sound. Draw objects on the letters that have the same beginning letter. 7. Trace them with play dough. Or get these play dough alphabet mats I made. 8. 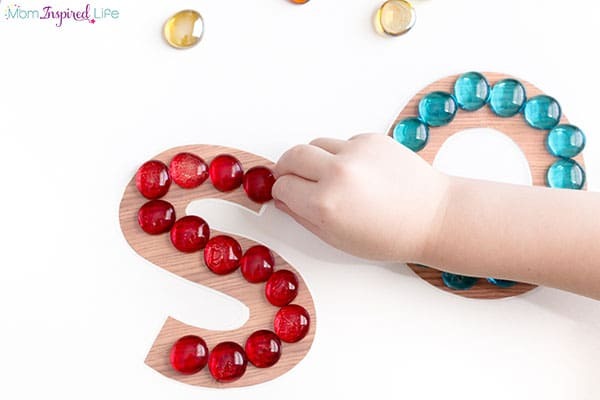 Sort them in piles of uppercase and lowercase or curvy lines and straight lines. 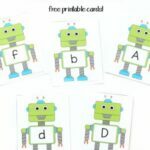 We are finding all kinds of fun ways to use these printable alphabet letters! I’ll keep adding more as we come up with them. Please share your own ideas in the comments below! 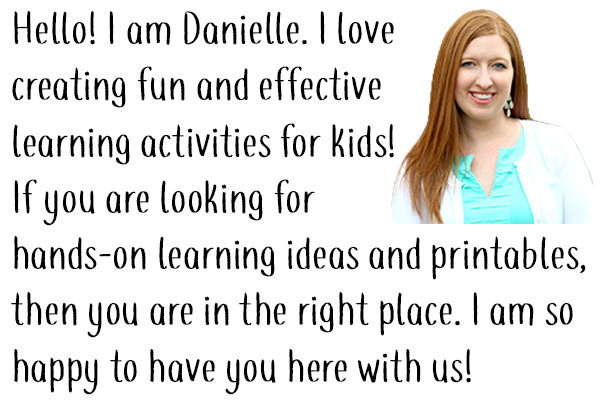 I love hearing how others use my resources! 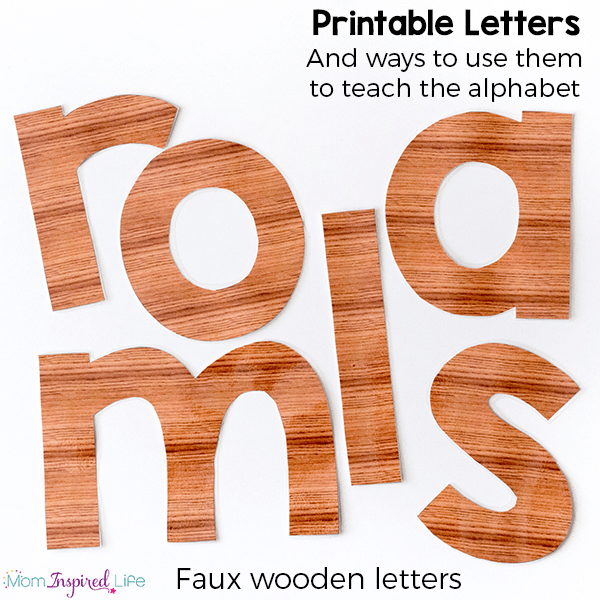 Click the button below to download the faux wood printable alphabet letters. 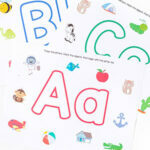 Click the button below to download the blue and red printable alphabet letters.